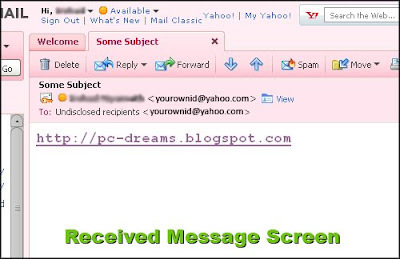 Normally if you send messages to a group of email addresses then the recipients can easily see the list of addresses for whom you have send the mail. Its easy to hide your recipients addresses. still i can see my email address in To: Field beside Undisclosed recipients. email id should not reveal. Is it possible?